A lodging facility with powdery snow that is popular with skiers and snowboarders, beautiful scenery up in the mountains, and a relaxed atmosphere. 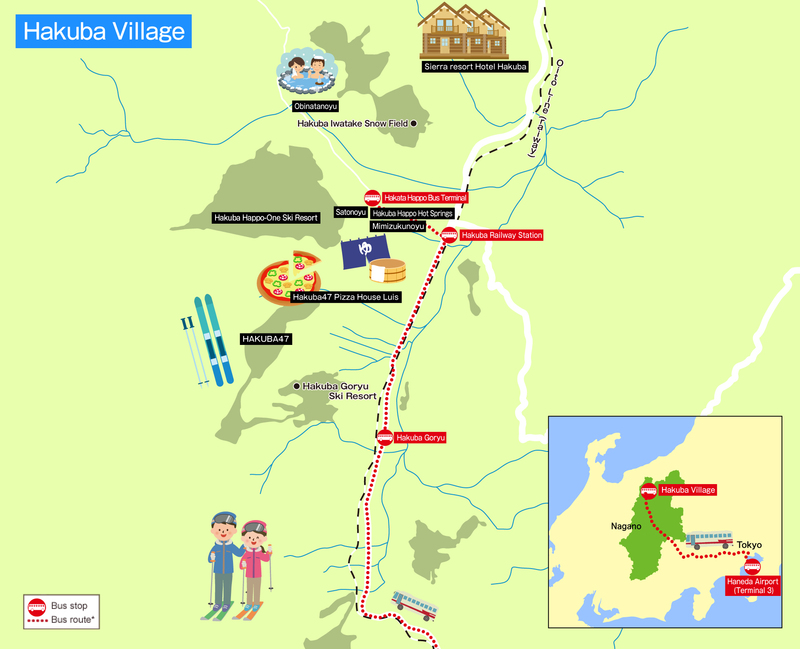 Hakuba Village in Nagano Prefecture is becoming more and more popular as a winter resort. A recommended way to get to Hakuba is by bus with comfortable seats to relax directly from Haneda Airport. Winter in Hakuba is extremely popular! Winter in Nagano Prefecture attracts many tourists who come to ski because of powder snow that falls on the tall mountains here. 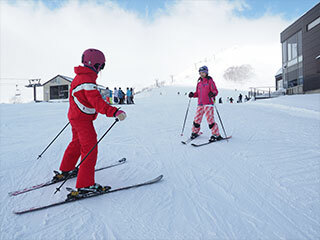 The Hakuba area is particularly popular because it has several scenic ski resorts where both beginners and experts can enjoy. Try out unique courses such as Hakuba Happo-One Ski Resort where the alpine ski events were held during the 1998 Nagano Olympics, and Hakuba 47 which has an excellent park! It takes five hours to reach the Hakuba area from Haneda Airport. It is a bus where each seat has a wide space to let you relax without having to worry about your surroundings. There is also a restroom onboard. Trips to resorts start at Haneda Airport. There are various courses such as those at an altitude of 1,071 meters and those that are 8,000 meters-long ski slope while taking in an exhilarating view. Beginners can reach the Usagidaira Terrace at the observation deck without their skies for it is directly connected to the drop-off point of the gondola. Rent the items you need when you get there! Hakuba has plenty of rental shops for skis, snowboards, and wears. We decided to go to the Spicy Rentals at Happo. We also purchased gloves and goggles. There are always staff members here who can speak English. 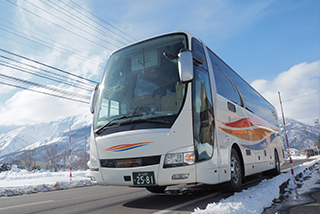 The HAKUBA VALLEY Shuttle Bus is a convenient way of travel to 10 ski resorts. It can take you to any ski resorts you wish. There are three routes from Hakuba Happo Bus Terminal and the maximum fares are 500 yen for adults. 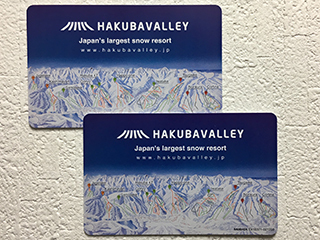 If you use HAKUBA VALLEY Ticket which is a universal ski lift ticket, you can also visit all of these ski resorts. 1-day ticket, 2-day ticket, and 3-day ticket are available for the length of your stay. 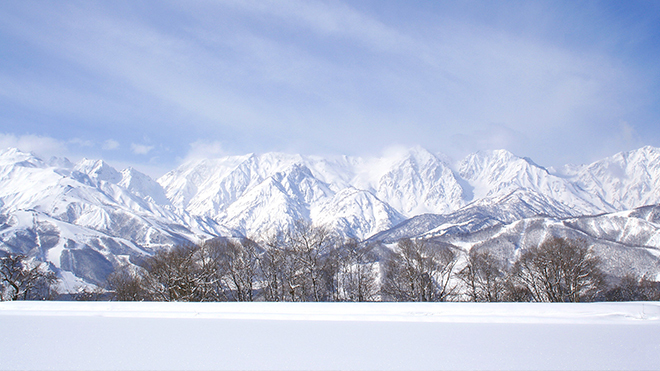 The slopes at Hakuba are spacious and many of them have spots that are at high altitudes. There are lifts and gondolas to access each course easily. Beginners ride the gondola taking off their skies or snowboards. Do not worry if you go skiing for the first time for you can take lessons at ski schools. There are also curriculums for children. Many lessons for those who wish to become intermediate or advanced skiers are available if you have a goal to achieve. The coaches know everything about the ski resorts. So in addition to recommended ski slopes, they can also tell you about good restaurants, beautiful places, and so on. Hakuba is full of great restaurants. Pizza House Luis at Hakuba 47 serves crispy pizzas baked in authentic stone ovens. There are plenty of dishes here made with locally produced ingredients such as the Nozawana Pizza, which is topped with pickled mustard leaves, and the Shinshu Miso and Mushroom Pizza. The shop has once been No. 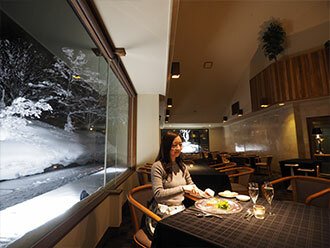 1 for the best menus offered at ski resorts in Nagano Prefecture for two years in a row. 24196-47, Kamishiro, Hakuba-mura, Kitaazumi-gun, Nagano-ken. Enjoy local specialties such as soba noodles and Shinshu beef! Soba noodles are a traditional Japanese dish made with buckwheat seeds, which Nagano Prefecture is one of the most prominent production area. 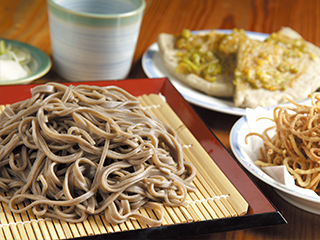 Soba noodles can be enjoyed both in a warm soy sauce-based soup and cold dipping sauce as you enjoy their aroma. 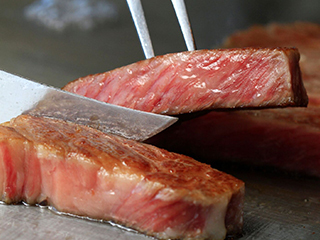 One of the best local specialties in Nagano Prefecture is Shinshu beef. It is luscious and juicy because the cattle grow up eating fermented feed containing apples. You can enjoy not only as steak, but as Japanese dishes such as sukiyaki and shabu-shabu as well. 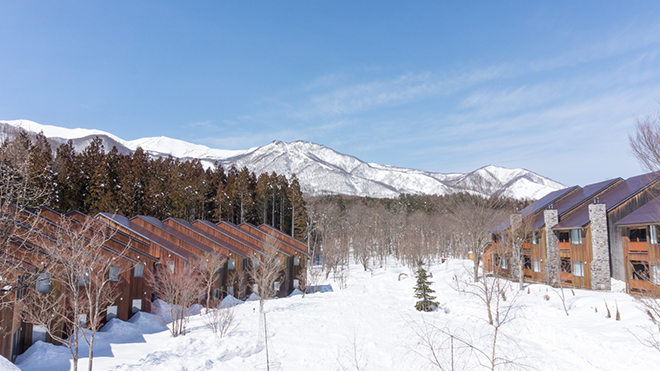 Sierra resort Hakuba is a hotel nestled in a forest. It has been built to get the most out of the surrounding nature and has wide windows that let you take in the beautiful scenery in all of its rooms, hot spring baths, and relaxation spaces that are located all throughout the facilities. The various full-course French meals prepared by chef Pierre Kanazawa, who is the winner of many domestic and international awards, should be one of your great pleasures during your stay here. Dishes made with plenty of locally produced ingredients are elegant and absolutely delicious. In addition to the full-course French meals, a particularly recommended dish is the famous stew made with premium Shinshu beef. The Grand Twin and Double rooms are simple and include everything you need in a relaxing space. Junior suites have two bedrooms each with a fireplace in one of them. 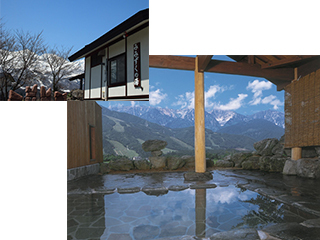 The Hakuba area is known for having many high-quality hot springs. The Happo area has four major hot springs for single-day bathing, Mimizukunoyu is recommended for those who really want to enjoy a magnificent view. Obinatanoyu and Happonoyu are the only hot spring baths in Japan that contain natural hydrogen. Happonoyu and Satonoyu are for those who want to go casually around the area. The Keikyu Limousine bus also has services from Haneda Airport bound for Karuizawa. You can go directly to Karuizawa Prince Hotel and the facilities such as the nearby ski resorts and shopping plazas. It offers lodging, skiing, and shopping all in one location to enjoy a relaxing stay. Beautiful scenery with a view of Mount Asama awaits you. 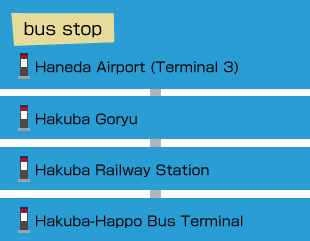 There are two round trips a day from Haneda Airport (international terminal) to Hakuba Happo Bus Terminal. "Timetable From Haneda Airport From Hakuba"
For reservations, please contact the Keikyu Highway Bus Reservation Center. Phone: 03-3743-0022 (9:00 am - 6:30 pm). English, Chinese (Mandarin) and Korean operators available. This article was released in November 2017. Natsumi Shiiyama is an actress and celebrity working in theater and events. 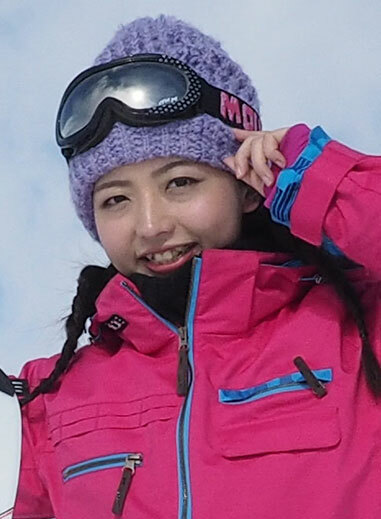 She is a beginner at skiing, but went to Hakuba to take a challenge!